1959 Ford Life Magazine Advertisement. Ad Features the Ford Custom 300 and Ford Ranch Wagon. World's Most Beautifully Proportioned Cars. Ad is 13 1/2" high and 10 1/2" across. Very Good condition. Suitable for framing. 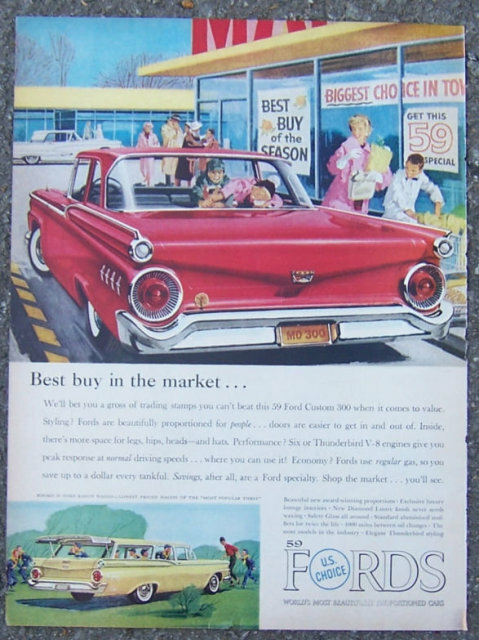 Items Similar To "1959 Ford Custom 300 Life Magazine Advertisement"